After tracking songs for what was once to become a new Lynch Mob album, drummer Brian Tichy proposed the idea of bringing together George Lynch, Jeff Pilson and Mick Brown (the “Big Three” of Dokken) for a project similar to what Heaven & Hell was to Black Sabbath. goJimmygo (gJg): What’s the genesis of the T&N project? 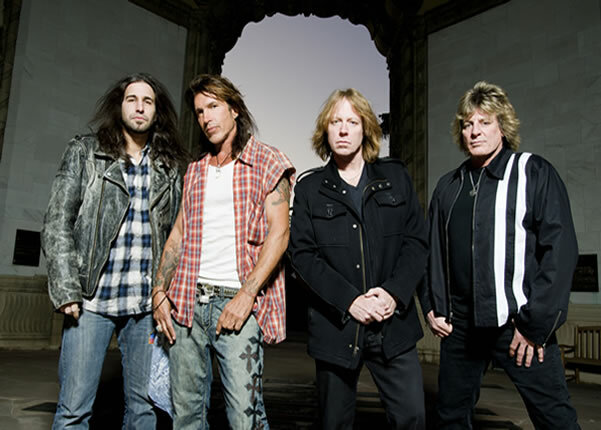 George Lynch (GL): Initially, Jeff [Pilson] and I were writing for what we thought would be the new Lynch Mob record, but it turned out not to be a “Lynch Mob” kind of album. Instead, we decided to turn lemons into lemonade and do our own record. One of things we wanted to do was make a concerted effort to make the connection between our Dokken legacy and our newer writing efforts by combining classic Dokken songs alongside our newer compositions. gJg: Was there ever thought given to an all original Dokken reunion? GL: There’s always been talk of it, but it went nowhere, obviously. gJg: What was it like revisiting the Dokken material again? GL: It was a little surreal recording those songs again with the same guys. It was also a lot of fun. We were so comfortable with the material, having all been playing it on and off for years. We felt that we could liven the music up and bring new life to it. gJg: How do you come up with your riffs? GL: I can’t really say how it works. I think that after listening to all of the music I grew up with, a creative synthesis occurs and something just flows through me. As long as I’ve got a good sound, I just plug-in and with the magic of the studio, inspiration hits. It’s an adventure. The thing is, you never know what’s going to happen when you plug-in and get together with a group of guys and start creating. gJg: Does Slave to the Empire have a message? GL: Absolutely. The whole record’s a message. On the surface, people might say that it’s a political one, but I prefer to call it an exploration into truth and human nature. That’s really the job of the arts and music specifically; to convey a message beyond what the music might imply. Historically, that’s how it was done in the past, especially during the late ’60s and early ’70s. Rock and roll music was a catalyst and vehicle for change and we felt the need to take up that torch and continue to do that as best we can. gJg: Are there plans to tour with T&N? GL: We’re not going to tour together as a band most likely until next fall, upon the release of the second record. The next record is about half done. All of the Dokken material has been recorded. We just have to finish writing the new original material. gJg: What Dokken songs can fans expect on the next album? GL: Songs like “When Heaven Comes Down,” “Til The Livin’ End” and “Just Got Lucky.” “Just Got Lucky” actually ended up being insane. The latest plan is to have Sass Jordan, a wonderful Canadian female vocalist, singing it. She has a very soulful and gritty voice. It’s just beautiful. A wonderful rendition of the song. gJg: Have you ever considered writing a book about your life and experiences? GL: I’m not really a big fan of the rock biography. I think they’re more self-indulgent and full of a lot of self-congratulatory stuff. Throwing a bunch of people under the bus and throwing a lot of dirt out there. I’m more consumed with the work at hand and moving on. Affecting change through music. The music actually serves the same purpose as the book. I get to tell stories in the context of the song. gJg: What other projects are you working on? GL: Right now, I’m working on a record with the drummer from Korn [Ray Luzier] and the singer from Kings X [Doug Pinnick]. A still-unnamed project, but we’ve started writing and will be working on that through the middle of December. gJg: Is there a tentative release date for the film? gJg: This year marks the 25th anniversary of the Dokken hit “Dream Warriors” from Nightmare on Elm Street. How did that song come about? GL: It’s kind of interesting that you ask me about that because I was actually just over Jeff’s last week doing some T&N photo shoots and interviews for Japan. We were in his studio and he had the original recording machine that we used to track that song. It was an old Akai Beta Recorder; an obsolete machine that’s just a monster. Jeff still has it. It was interesting to see that again because I do remember the process of writing and recording that song and it took me back. 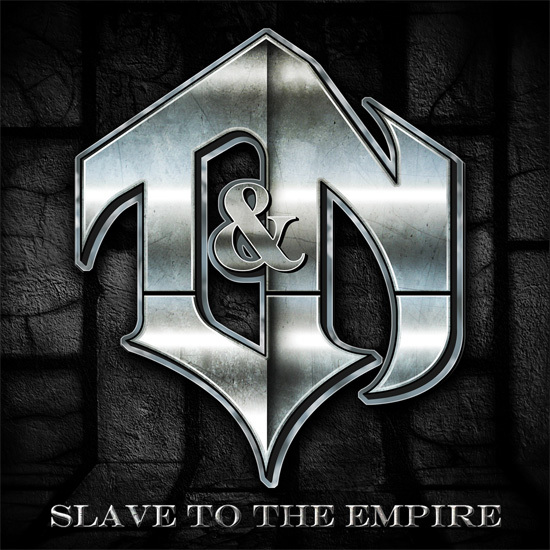 Article first published as Former Dokken Guitarist George Lynch Discusses T&N and New Album, ‘Slave to the Empire’ on Technorati.